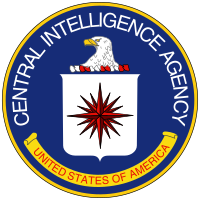 related portals: Directorate of Intelligence. To many observers, Chile under Allende has seemed like a profligate who frittered away an inheritance on a two-year binge. This consumption spree has cost the country some $550 million in foreign reserves, a large part of its material inventories, a serious deterioration in productive capacity, and a drying up of most foreign credits. In the process, Allende has used economic levers to radically alter Chile's power structure in an attempt to make his socialist revolution irreversible. Although his policies have created massive government deficits and excess consumer demand, they also have markedly increased the state's economic power and have redistributed income, thereby eroding the opposition's economic base. Some sobering realities, however, recent have become apparent, foreshadowing the lean days to come. Although the government can justifiably claim that per capita gross domestic product (GDP) and consumption are higher in 1972 than in 1970, by most other measures the economy already is far worse off than when Allende launched his revolution of "meat pies and red wine." Output in most sectors is now stagnating or declining, foreign reserves are heavily in the red and copper earning down, food stocks and manufacturer's inventories are virtually exhausted, and distribution snarls are chronic. Demand, however, continues to rise sharply, fueled by wage increases, ever-larger government deficits, and a mind-boggling rise in money supply. As a result, even government-controlled prices have jumped almost 75% in the last three months, while shortages abound and the black market have become far more a way of life than ever before. Note: This memorandum was prepared by the Office of Economic Research and coordinated within the Directorate of Intelligence. This does not necessarily mean that Allende will get his comeuppance in the March 1973 congressional elections. Economists may wring their hands and the foreign press may view with alarm, but the fact remains that many Chileans are better off than before. Furthermore, many people are delighted with the leveling of incomes at the elite's expense. The shortages common in recent months have affected Allende's low-income constituency, but the living standards of the upper and middle classes have been hit much harder. Moreover, people with extra money in their pockets for the first time probably have not yet begun to worry much about the lack of things to buy. In fact, Allende's actions have encountered little effective resistance except when they have threatened to cut deeply into middle-class interests. The month-long strike that nearly paralyzed the economy in October was triggered by independent truckers and small retail merchants, who were later joined by professionals and larger entrepreneurs. Although violence flared intermittently (see the photograph), Allende was supported by the military in his efforts to get the economy moving again. The subsequent entry of the military into key cabinet posts - while opposed by Allende's more radical coalition partners - promises to lessen turmoil in the crucial months ahead. During the three months preceding the elections, Allende should be able to stave off belt-tightening measures. He has already gone much farther than many expected in liquidating Chile's assets to satisfy consumers and almost certainly will continue to give their demands priority. He can keep imports high by running Chile's net foreign reserves further into the red and by increasing commercial arrears. Also, some emergency hard-currency assistance may be forthcoming from Communist countries, although it probably will fall far short of the requests currently being made of Moscow. Allende will be helped by the election's opportune timing. Although agricultural output in crop year 1972/73 probably will be down about 10% from the preceding year's dismal performance, February-March is the harvest season's peak and food supplies will therefore be at their most plentiful. Moreover, the summer vacation doldrums between now and March will give Allende time to ease industrial supply problems that were substantially worsened by the recent strike. Although Allende can postpone the impact of plummeting investment, stagnating output. and spiraling demand until March, Chile will face grave economic problems later. Foreign reserves will be exhausted and borrowing capabilities limited, thus, only sharply increased copper prices or a bail-out decision by Moscow will keep import capacity from falling. If import constraints are necessary, some impact on supplies or foodstuffs and industrial inputs seems unavoidable because imports of capital goods (other than those ﬁnanced by foreign credits) and of manufactured consumer items already are small. Even though Allende's long-heralded year of sacrifice will begin in 1973, investment will remain depressed and output is likely to stagnate or decline. If the regime continues its reckless budget and wage policies in the face of contracting resources, Chile's market system will move further along the road to destruction. Runaway inﬂation, rationing, or some combination of the two may not be far off. Chile's supply-demand gap increasingly is the result of deep-rooted production constraints and a faltering marketing system, as well as a more and more bloated money supply. Allende's policies began to disrupt farming and mining soon after the new government took office; in more recent months they also have started to hurt manufacturing and distribution. Output is now stagnating or declining in virtually every sector, mainly because of sharply reduced investment or actual disinvestment in many enterprises; shortages of raw materials, parts, and other inputs; worsening labor discipline; snarls in the distribution system; and - perhaps most important - the governments inability to manage effectively the many activities taken over (see Table l). Government ownership and control, already widespread even by Latin American standards in the pre-Allende period, has about doubled in the last two years and now encompasses at least one-half of GDP. In some spheres - notably mining, large-scale manufacturing, electric power, communications, and banking - state control is virtually complete. c. Estimated share of construction projects financed by the state. in 1972/73. Accelerated official expropriations and widespread illegal seizures of farmland by Allende's far leftist supporters have created fear and frustration throughout the shrinking private sector. The resulting reduction in private farm activity has not been offset by production advances on state-controlled land. On the contrary, the administration has largely failed so far to organize recently expropriated land into new production units # # # # # # # # # # # # # # # # # # # # # # # # # # # # # # # # # # # # # # # # # # # # # # # # # # # # # # # # # # # # # # # # # # # # # # # # # # # # # # # # # # # # # # # # # # # # # # # # # # # # # # # # # # # # # # # # # # # # # # # # # # # # # # # # # # # # # # # # # # # # # # # # # # # # # # # # # # # # # # # # # # # # # # # # # # # # # # # # # # # # # # # # # # # # # # # # # # # # # # # # # # # # # # # # # # # # # # # # # # # # # # # # # # # # # # # # # # # # # # # # # # # # # # # # # # # # Because these state-controlled farmlands now account for about half of Chile's agricultural capacity, the lack of competent technicians and managers has seriously hurt output. The problems of poor production incentives for private farmers and of badly managed state lands are much more serious now than in the l960s because of the increasingly indiscriminate land reform. The Frei administration's program did not disrupt output seriously until late in the term, when highly productive farms began to be expropriated. Few poorly managed estates remained in private hands by the time Allende took office, and Chile's most productive large and medium-sized farms thus have been the main victims of the subsequent expropriation campaign. Moreover, the pace of expropriation speeded up markedly, as shown in Table 2. Because the farms taken over had provided much of Chile's marketed output, foodstuff deliveries to urban areas have dropped sharply. The magnitude of production losses resulting from Allende's agrarian policies became apparent in 1971/72. Wheat, which accounts for about 15% of farm output and almost 40% of the caloric intake, suffered a 35% production decline. Because it can be grown relatively quickly and cheaply, wheat often has served as a "hedge" crop for nervous private farmers, and l970/71's record crop stemmed in part from the uncertain political climate during the presidential race. Last year's poor crop - the smallest since the early 1950s - reflects both increased idle land on state-controlled farms and extreme pessimism among many remaining private farmers, who failed even to plant wheat. Other crops requiring larger cash outlays naturally were harder hit. Output of such items as garlic and onions failed to meet domestic requirements much less provide the traditional surplus for export. Livestock output dropped even more sharply than crop output in 1971/72. Chile's cattle population had declined from 3 million head when Allende was elected to only about 2.5 million by mid-1971, as cattle producers liquidated herds in anticipation of expropriation and as peasants on newly expropriated farms started eating more beef. Numerous breeding animals and under-sized beef cattle were slaughtered As a result, estimated beef output in 1971/72 fell to little more than half the extraordinary 1970/71 level and to about three-fourths the average. Most indicators point to a further substantial decline in agricultural output in the current crop year. Poor weather and shortages of seed, fertilizer, and credit have compounded continuing problems stemming from government incompetence and private farmers' insecurity. The area sown to winter wheat - normally planted by the end of May - fell by nearly 50% from the previous year's depressed level, and plantings of spring wheat and other crops were three to four weeks behind schedule when the month-long strike began in early October. The strike further disrupted farm operations, produce deliveries, and receipt of agricultural inputs. These factors more than offset the improved profit incentives deriving from a sharp increase in farm product prices announced in August and September. Although post-strike plantings on irrigated land were feasible, insufficient moisture severely depresses yields from non-irrigated plantings made after 1 November. Output of such permanent crops as grapes and other fruits is expected to decline moderately because of fertilizer shortages and failure to perform routine off-season maintenance on many vineyards and orchards. Beef output has remained depressed and can be improved only by sacrificing the rebuilding of Chile's herds - a temptation Allende thus far has resisted. Moreover, feed grain shortages are limiting pork and poultry output. Allende has encountered difficulties in running the properties expropriated from US copper companies. Output from the long-established large copper mines — Chuquicamata, El Salvador, and El Teniente — has declined despite near-completion of major expansion programs in 1971 (see Figure 2). These mines, formerly owned by Anaconda and Kennecott, provided almost four-fifths of Chile's copper production before the takeover. Total large-mine output has risen slightly, to an estimated 585,000 metric tons in 1972, only because of the two new mines brought into production at the end of 1970. These mines, too, are producing well below capacity. Allende's problems in the copper mines are mainly managerial and technical. With nationalization, the industry lost most of its skilled personnel, both foreign and domestic. Experienced Chilean supervisors, who could have run the mines reasonably well, left because they feared loss of their accumulated pensions (payable in dollars) and doubted that the new political appointees running the mines would respect their positions. Employment at the mines has expanded considerably, as the administration rewarded the faithful with jobs. In addition to inept management, featherbedding, and poor labor discipline, the industry has been increasingly afflicted in recent months with machinery breakdowns and supply bottlenecks. As might be expected, production costs have skyrocketed since 1970. Traditionally the world's lowest-cost major producer, Chile now is barely breaking even — despite reneging on debt servicing. Because of reduced world copper prices and the artificially low exchange rate maintained for exports in the face of soaring production costs, government tax and profit revenues from the large copper mines (as distinct from foreign exchange receipts) fell from some $260 million in 1970 to $40 million in 1971 and only about $15 million in the first half of 1972. Since the profits of small and medium-size mines are also being squeezed, their output in 1972 is likely to fall somewhat below the previous year's 136,000 tons. The massive consumer demand generated by Allende's policies paced a 12% rise in manufacturing output in 1971, despite strikes and plant takeovers by the government and by workers. This increase was possible because of excess capacity and large inventories of raw materials and spare parts. Output peaked in late 1971, however, and 1972 production is unlikely to be much, if any, above last year's (see Figure 3). Output almost certainly would have been considerably lower during the second half of 1972 than a year earlier even without the disruptive October strike in transport and trade. Because little new investment has taken place since the late 1960s, capacity limitations have been cramping output in a growing number of industries. In addition, by mid-year, raw material inventories were severely depleted and new supplies increasingly difficult to obtain because of transport bottlenecks and foreign exchange shortages. Labor discipline has deteriorated badly because workers feel free to defy management, particularly in the remaining private ﬁrms. Equipment breakdowns due to poor maintenance have been on the rise, and — because spare parts inventories were also depleted — prolonged stoppages have become increasingly common. Managerial incompetence. which has crippled mining and agricultural output, has, however, been apparently less pronounced in manufacturing The state already owned plants encompassing about one-fourth of manufacturing output before Allende took office. and the transition to state ownership in many plants taken over by Allende was eased by retaining key middle-level personnel. Perhaps most important, Allende considerably slowed the expropriation pace after his first year in power — probably in tacit recognition of the managerial problems involved. Much of Chile's manufacturing still occurs in small shops, not tagged for state takeover. The distribution system — never very efficient — has been severely strained by sharply rising demand and shifting supply sources. Bottlenecks created by inadequate transport and storage facilities had become chronic even before the October strike idled most trucks for four weeks. Record imports of foodstuffs and other bulk cargo caused severe port congestion, long ship delays, and demurrage charges at Valparaiso, San Antonio, and Concepcion. Inadequate rolling stock and railworkers' strikes exacerbated the port problem, further delaying deiiveries of needed inputs to farms and industries. Still mostly in the hands of small entrepreneurs, trucking has suffered from shortages of spare parts — especially tires and batteries. The government has increased its control over distribution but nevertheless failed to prevent confusion and growing shortages. Government control is in fact widely blamed for the scanty supplies of perishable foods at the peak of the harvest season. As one Chilean put it, "How many government workers do you know who are going to unload vegetables at two in the morning or on Sundays to keep them from spoiling?" Most wholesale distribution facilities are now run by government enterprises or agencies. They handle almost all imports as well as most agricultural output that does not go into the black market. Retail distribution remains largely in private hands, but the government is rapidly expanding its control overfood marketing, particularly in low-income neighborhoods. In these areas. "Neighborhood Supply Committees" have been set up to oversee small private merchants and distribute foodstuffs supplied by government wholesale entities. similar extent. The only capital goods purchases that have increased since 1970 are vehicles and transport equipment financed under supplier credits, mainly from France. Brazil. and Argentina. Allende has been able to postpone import restrictions only by using up Chile's large foreign reserves and damaging the country’s international credit rating. Chile incurred a record balance-of-payments deﬁcit of some $300 million in 1971 and probably will go about $250 million into the red in 1972 (see Table 3). By year's end, its net foreign reserves will stand at an estimated negative $210 million. compared with a positive $343 million at the end of 1970. Balance-of-payments deterioration would have been even more severe had Chile not stopped payments on most of its long-term foreign debt and on its short-term debts to US banks in late 1971. Because of non-payment on debt, plus drawings on Western long-term credits still in the pipeline, on Communist project loans, and on short-term commercial credits from new Western suppliers intent on replacing the United States in the Chilean market, Santiago actually had a substantial net capital inflow in 1972. ↑ Beginning on 1 June of the first stated year. ↑ Share of agricultural product vs capacity in agarian reform settlements and other state-owned farms. ↑ Estimated share of construction projects financed by the state. ↑ Following Chile's unilateral debt moratorium in November 1971, debt renegotiation meetings were held in Paris, culminating in the April 1972 agreement. Chile's creditors agreed to provide debt relief of equal to 70% of the principal and interest payments falling due through the end of 1972, to be implemented through bilateral agreements with each creditor. Because Santiago has taken the position that no payments have to be made until those agreements are signed and bilateral negotiations have not yet been completed with the United States. Canada. and West Germany. Chile thus far has made few payments even on the 30% of debt not rescheduled. ↑ Asssuming no changes in export volume but a slightly lower price because of increased shipments of concentrates. ↑ Assuming interest payments to international agencies, on commercial credits, and to some creditor nations where bilateral debt renegotiation agreements have been signed. ↑ Assuming continued drawings on Western credits in the pipeline and initial drawings on credits from Communist countries. ↑ Assuming amortization payments to international agencies and to some Western creditors where bilateral agreements have been signed. ↑ Net increase in outstanding commerical credits; in part this reflects an increase in payments arrears. ↑ Represents a $50 million line of credit granted by Soviet-owned West European banks. At present Chile has overdrawn this credit by an estimated $10 million. real consumption growth tapered off substantially in l972 even though investment almost certainly declined further. *Available resources equals production plus not imports of goods and services. The Allende administration has both taken over an increasing share of economic activities and expanded normal government expenditures. As a result, current expenditures increased by 74% in nominal terms and about 45% in real terms in 1971. Largely because of the business proﬁt squeeze and plunging copper receipts, central government revenues increased by only 25% in nominal terms and not at all in real terms despite new taxes and rapid economic growth. The deficit on current operations alone totaled 3 billion escudos in 1971, and capital expenditures and transfers brought the central government deﬁcit to l2 billion escudos — equal to 32% of government expenditures and 10% of GDP. State enterprise deficit. not covered by transfers raised the public sector deficit to 14 billion escudos — or 12% of GDP, compared with l% in the late 1960s. The Central Bank ﬁnanced the bulk of this deficit by creating money. During 1972 the budget situation has worsened. Because of state enterprises' soaring operating deficits. the public sector deficit appears likely to approach 45 billion to 50 billion escudos, or almost 20% of GDP. Artificially low prices for public services, inefficient management by unqualified political appointees, and the rapidly expanding number of money-losing state enterprises all have contributed to the problem. Even traditionally profitable state enterprises such as the electric power and petroleum companies are incurring large deficits. The recent price hikes granted state enterprises are unlikely to improve their proﬁtability for very long because wages and other costs are rising rapidly. Although the Allende administration has kept the private sector on a relatively tight financial rein, the wage-price spiral and the public sector's deficits have inﬂated the money supply remarkably. During 1971, total money supply increased by 114%. compared with an average increase of 42% annually during 1965-70. A similar expansion rate was evident during the first six months of 1972. and money supply growth has accelerated in more recent months owing to massive deficit financing. Only in recent months have Chile's financial gyrations apparently provoked a rising velocity of money circulation, which — if it persists, and especially if it accelerates — raises the specter of runaway inflation and market breakdown. Because output growth and official price rises lagged far behind monetary expansion in l971, money supply jumped to 20% of the officially calculated GDP, compared with about l2% in the late l960s (see Figure 6). Even with a GDP value reflecting increased recourse to the black market and other sales at uncontrolled prices, a rising percentage would be obtained — indicating that money velocity slowed considerably. The situation changed markedly in 1972, however, because fewer people were willing to hold cash balances, official price rises accelerated, and more and more goods were being sold through the black market. We estimate that money velocity changed little during the first six months and then speeded up substantially in the latter half of the year. Despite highly expansionary budget and wage policies, Allende's attempt to hold down inﬂation through strict price controls initially was fairly successful. During 1971 the ofﬁcial cost-of-living index rose by only 22%, compared with 35% in 1970. Shortages became common, however, and waiting lists for consumer durables and other goods lengthened. Chile's black market, long a factor whenever imports and other scarce goods are concerned, was increasingly resorted to for essential items such as food and clothing. By mid-1972, Allende apparently decided that price increases were preferable to growing shortages, and official prices were boosted substantially. After rising by an average of 4% monthly through July, these prices jumped 73% in the next three months (see Figure 7). By the beginning of November the official consumer price index had risen 130% since the first of the year. hikes soon intensiﬁed the pressure on official prices, which goods shortages and rampant black marketeering had already robbed of meaning. Allende's first move upon taking office was to redeem his pledge to improve the working classes’ lot. This he accomplished by granting an average 45% wage raise to public employees, fostering even larger hikes in private enterprise, and holding down other income by controlling prices. Between October 1970 and October 1971 nominal wages increased by an average of 52% while official prices rose by only 16%. By this measure. the average Chilean enjoyed a real income rise of some 30% during the period (see Figure 8). Because official price rises began to accelerate in the last quarter, real wages declined somewhat, but at the end of 1971 they were still perhaps 25% higher than when Allende took office. Real wages for most workers peaked in January 1972, when Allende granted a general 22% wage increase to compensate for the past year's inflation. An annual wage readjustment is a tradition in Chile, but prices, normally erode nearly all the gain before the year is over. Unlike 1971, this year has been no exception. Real wages declined gradually during the first half of the year and by July were about 10% below their January peak. The sudden jump in official prices in August wiped out essentially all of the workers' remaining gain in real incomes since Allende took office. * The real wage index cannot be calculated for September when special bonuses were granted to partly offset a rapid rise in official prices. Effective 1 October a 100% wage increase was granted to restore real wages to their January levels by the end of the month, the official price rise had eroded real wages by some 15%. Because these price increases were concentrated on food items, erosion in the lower-paid workers' real incomes was even more severe. Moreover, as many families probably perceived real wages actually were substantially lower at the end of August than in late 1970 because the true inﬂation rate clearly exceeded the ofﬁcial calculation. For obvious political reasons, Allende moved quickly to restore workers incomes by granting large bonuses in September and decreeing that the annual wage readjustment advance three months, to 1 October. Wages were boosted by the full amount of the nine-month rise in official price, about 100% — thus returning the official real wage index to its January peak. Inflation continued to rocket during October, however and real wages quickly declined by 15% at official prices and considerably more at black market prices. Belt tightening eventually must come in Chile, but Allende will make every effort to delay consumption cutbacks until after the congressional elections in early March 1973. For obvious reasons, Allende is intent on maximizing his show of popular support in what is viewed by many as a plebiscite on his administration. The election's outcome, however, will have little impact on the direction of Allende’s future actions except in the unlikely event that his coalition falls below the 36% of the popular vote he received in the I970 presidential race. Such a major defeat might convince top Chilean military leaders to assume a greater, possibly a decisive, role in determining the policies of the Allende government. Moreover, it also would seriously impair Allende's influence over legislation. The economic crunch probably can be postponed until after the election, partly because their timing is opportune for Allende. Although agricultural production probably will be down about 10% in 1972/73, the election will occur at the harvest season's peak, when most foodstuffs supplies will be at the year's highest level. Furthermore, December through February are the summer vacation months, when people traditionally flock to the seashore and sales of many things slump. During this breathing spell, the administration can concentrate its efforts on undoing supply snarls affecting important consumer goods. Allende should be able to keep import levels reasonably high until after the election. On 30 September, Chile still had an estimated $100 million in disposable assets, about equally divided between gold and foreign exchange holdings. Although foreign exchange assets by now probably are down nearly to the minimum level needed for trade transactions. Allende could raise some cash by borrowing against the gold reserves held in French banks. In addition, Chile is scheduled to receive a $43 million loan from the IMF in December and could borrow $11 million against its fund quota before the election if it agreed to certain conditions. Chile may also receive emergency assistance from Communist countries during this period. Although it is doubtful that Allende's December trip to Moscow will yield the massive aid being sought, the Soviets may be willing to match the $50 million in hard currency extended in 1972. Regardless of the election's outcome and subsequent political events, Chile faces grave economic problems during the next several years. The economy is a shambles in most respects and probably will deteriorate further before remedial action is taken. An effectively functioning socialist state appears unlikely unless the country becomes highly oriented toward authority — and perhaps not even then. Consumers face long~continued austerity, whether they like it or not. The USSR can be expected to provide help, but only to the extent of lessening the economic shambles. Because foreign reserves will be exhausted and borrowing capabilities limited, import capacity probably will fall substantially. Import constraints, in turn, will seriously impede production and squeeze consumption. Only increased world copper prices or massive foreign assistance — neither of which seems likely — will allow the present import level to be maintained. For 1973, we estimate that, even if Santiago continues to renege on debt payments and is able to handle an additional net-reserve loss of $130 million or so (see Table 4), imports will fall by roughly 20%. If imports remain high until after the March elections, Chile probably will have to cut imports about 30% for the remainder of the year. In the unlikely event that Chile resumes debt service payments to its major creditors, imports would have to be cut even more sharply. Such an import cutback will require difficult allocation decisions. In the likely event that agricultural output continues to decline, large food imports will be needed to maintain a politically acceptable diet. Although Allende's advisers recently estimated that food imports in 1973 would have to be more than $50 million higher than in 1972, it is doubtful that the current level can even be maintained. If total imports must indeed be reduced in 1973, as we expect, most of the adjustment burden necessarily will fall on purchases of foodstuffs and of raw materials, intermediate goods, and spare parts. There is little room for import cutbacks elsewhere, because purchases of capital goods (other than those ﬁnanced by foreign aid) and manufactured consumer goods already are very small. Import limitation could be fairly disruptive to Chilean industry, which has traditionally depended heavily on imported inputs and is particularly vulnerable now that inventories have been severely depleted. To help maintain the flow of industrial supplies and replacement parts. Allende may decide to ration gasoline for private vehicles in 1973 — a step that could save perhaps $20 million to $30 million — and might even ration household fuels. It is impossible to say whether the Allende regime will carry its reckless financial policies to the point that the market system breaks down. By reining in monetary expansion before long, the government perhaps could reduce inﬂation to a rate which, though still very high, could be sustained indefinitely, as in Uruguay for more than a decade. To avert the danger of a market breakdown — or begin picking up the pieces following one — there is a good chance that the government will eventually opt for some form of rationing, a currency reform (such as was carried out in Cuba in the early 1960s), or both. Chile already has the institutional framework for a rationing system and thus could take the step fairly easily. Rationing would be highly unpopular and politically risky for any government, but low-income groups would fare at least as well with it as in a continuing scramble to find things to buy. ↑ This is the last drawing on a loan granted to compensate for declining copper prices in recent years. After loan eligibility has been determined, disbursements are nearly automatic. ↑ For explanatory footnotes. see Table 3, above. ↑ Assuming no change in copper prices or output during 1973. ↑ d. Assuming resumption of interest payments to some non-US creditors. ↑ Assuming repayments to selected creditors. ↑ Assuming roll-over of outstanding short-term credits, but no net increase. ↑ Assuming receipt of full credit tranche. ↑ Assuming an additional $50 million in hard currency credit: from the USSR in early 1973. ↑ Assuming that some gold is pledged as collateral for loans or sold. ↑ From past debt refinancing. Whatever happens now, Allende has succeeded in making his revolution largely irreversible. It is highly unlikely that the old elite will ever again dominate Chilean economic and political life. For better or worse, the structure of the Chilean agriculture has been permanently changed and most industry will probably remain under state control. Even if the Christian Democrats returned to power, Chile would remain strongly nationlist; thus foreign investors are unlikely soon, if ever again, to have more than a minor stake in Chile. Despite the potentially diastorus impact of Allende's economic policies, no political group now on the scene appears likely to reverse very many of the steps he has taken. This page was last edited on 17 August 2016, at 04:42.